Is now the right time to lower the asking price for your residence? If you&apos;ve studied the housing market closely, set an aggressive price for your home and are still struggling to generate interest in your residence, the answer to this question may be a resounding "Yes." 1. It has been many weeks or months since the last home showing. Although your home listing initially may have stirred up plenty of interest, homebuyers have shied away from your residence over the past few weeks or months. Thus, there may be no time like the present to lower your house&apos;s asking price to widen your net of prospective homebuyers. Reducing your house&apos;s asking price by even a few thousand dollars may help you generate interest in your residence. And in the days following a price drop, you may notice a significant increase in the number of requests for home showings as well. 2. 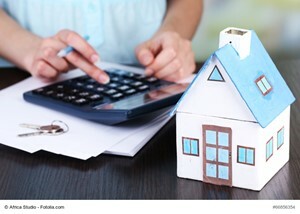 Your home asking price no longer corresponds to the current real estate market&apos;s conditions. A seller&apos;s market can quickly morph into a buyer&apos;s market. As such, you should evaluate the real estate sector regularly to ensure your home asking price corresponds to the current housing market&apos;s conditions. Take a look at available houses that are similar to your own – you&apos;ll be happy you did. This housing market data can help you determine if your house is priced appropriately based on the competition. Also, examine the prices of recently sold houses in your city or town. That way, you can see how long these residences were available before they sold, find out whether you&apos;re operating in a buyer&apos;s or seller&apos;s market and plan accordingly. 3. You need to sell your house as soon as possible. If you face a time crunch to sell your home, you should establish an aggressive price for your residence from the get-go. However, if you fail to generate substantial interest in your residence, you may need to act fast to lower your home asking price to meet your deadline. For those who want to avoid the possibility of lowering a house&apos;s asking price, it often pays to work with a real estate agent. This housing market professional can help you establish a fair, competitive price for your residence, one that should help you stir up significant interest in your home. In addition, a real estate agent will work with you throughout the home selling process. He or she will set up home showings, host open houses and negotiate with homebuyers on your behalf. Perhaps best of all, a real estate agent is happy to respond to your home selling questions and ensure you can make informed home selling decisions. Before you lower your home asking price, consult with a real estate agent. By doing so, you can get the expert home selling advice that you need to determine whether to wait out the current housing market or reduce the price of your residence. I began my career in mortgage banking holding various positions, including, Compliance Officer, Project Manager, and Marketing Director. After leaving the corporate world in 2008 I decided to start a real estate career, which I absolutely love. Helping people with the biggest purchase of their lives is extremely rewarding. I pride myself on my honesty, dedication and hard work .With offices in Thomaston, Waterbury/Wolcott, Watertown, Naugatuck, and Southington I can easily service New Haven, Hartford, and Litchfield counties. I am from Connecticut and currently live in Northfield with my husband and two children. I look forward to hearing from you to discuss your real estate needs .I can be reached at 203-217-6522.